If you’re having trouble conceiving on your own, or with milder fertility treatments, you may benefit from treatment with In Vitro Fertilization (IVF). 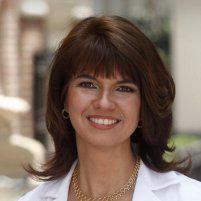 Maureen Moomjy, MD, FACOG provides expert IVF services at her practice in the Upper East Side of New York City, near Midtown. Dr. Moomjy collaborates with the top embryology team at New York University for expert egg retrieval and embryology services. If you want to learn more about IVF and how it might help you conceive, call Dr. Moomjy to make an appointment today. In Vitro Fertilization (IVF) is a fertility treatment for couples and individuals who are struggling to conceive naturally or with milder fertility treatments. IVF is an assisted reproductive technology that combines egg and sperm outside of the body so that a viable embryo can be identified and subsequently transferred directly into your uterus when it will have the best possible chances of implantation. Dr. Moomjy provides thorough exams to identify the cause of your fertility problems. This helps her to determine the best possible treatment to help you conceive. Make an appointment with Dr. Moomjy to start the process of assessing and treating your fertility issues. IVF involves several steps including stimulating egg maturation, egg retrieval, fertilization, and finally embryo implantation. Throughout your IVF process, Dr. Moomjy provides private monitoring and personalized medical management for each step. To start the process, you take injectable fertility medication to stimulate your ovaries so that several eggs mature and prepare for release at the same time. Dr. Moomjy monitors your ovaries and follicle responses to the medication protocol frequently so that the egg retrieval is timed to achieve the best possible number of similarly mature eggs in the safest manner. Egg retrieval is a minimally invasive procedure, although you will have an intravenous sedative to keep you comfortable and pain-free. While you are asleep, the retrieval procedure entails the use of a vaginal ultrasound that has a needle guide system attached to it. Each follicle is visualized with the ultrasound, and the needle guide system is used to puncture and drain the follicular fluid that contains the egg(s). The embryologist immediately identifies each egg under the microscope and then prepares the eggs for fertilization. After retrieval, which usually takes about 20 mins, the patient is observed in the recovery room for 1-2 hours and then permitted to go home to rest that day. After the eggs are harvested, they’re incubated with sperm to facilitate fertilization. Dr. Moomjy and her team monitor the eggs for successful fertilization. If the sperm isn’t optimally mobile, Dr. Moomjy may recommend intracytoplasmic sperm injection (ICSI). ICSI is a procedure whereby a single sperm is injected directly into an egg to achieve fertilization, using a micromanipulator microscope. Any fertilized eggs are then monitored for five to seven days to allow the cells to multiply, differentiate, and to reach the stage of a blastocyst embryo that has the best possible chance of implantation. During the embryo transfer step, a sterile catheter holding the embryo is gently threaded into the uterus. This procedure does not require pre-medication and the practice, or trial embryo transfer, is done in the office prior to the actual transfer to ensure an easy passage. If the transfer is successful, an embryo usually attaches to your uterine lining within a few days. You may resume normal activities at home for the rest of the day after your embryo transfer. Dr. Moomjy will prepare you hormonally for your transfer and monitor you with blood and ultrasound and advise you with all transfer decisions. Any remaining embryos can be frozen and stored for future use. Call Dr. Moomjy to schedule a consultation today to find out if IVF is the right fertility treatment for you.